“The trademark of an empath is that they feel and absorb other people’s emotions and/or physical symptoms because of their high sensitivities.“ Judith Orloff M.D. 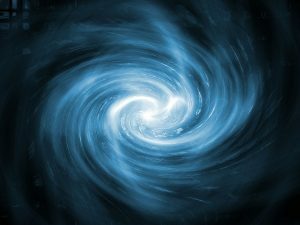 Empath was originally a science fiction term: A person with the paranormal ability to connect with the mental or emotional state of another individual. I’m sure you’ve heard the term most often used in the self-improvement industry as a curse (if you’ve suffered the consequences), but also a gift (if you learn to use it wisely). You’ll discover character traits to determine whether you may be an Empath. An instinct to put others before oneself. Deep concern for all living things. Intuitively recognizing and anticipating the needs of others. 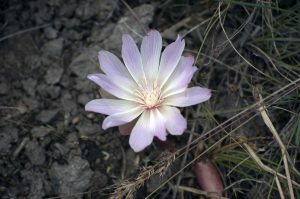 Sensitive to environment, including thoughts, feelings, and emotions of others sharing the same space as you as well as sensing even the unspoken thoughts, feelings, and emotions of others. Physically affected by others— Feeling tired around certain people, other sensations, becoming ill (or other physical effects) when giving too much of yourself for too long. People overstep their boundaries with you. You may find yourself having to set hard boundaries. Experiences with unexplainable instincts and intuition. I don’t know about you, but I completely identify with each trait! And chances are if you’re reading this, you do too. Some of these are also characteristics of a highly sensitive person (HSP). Enter, the Empath. Could it be this has been misinterpreted as well? When I first learned that I was an Empath, I read articles and even books that explained my “gift”. I felt relief…and still more curiosity— I’m a psychology geek and self-help naturally mixes and mingles with this. The more I read, the more I was reminded of a term in psychology that paralleled the traits of an Empath, almost exactly. 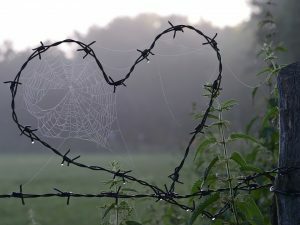 “Empaths can have codependent tendencies, but not all codependents are Empaths.” Judith Orloff M.D. 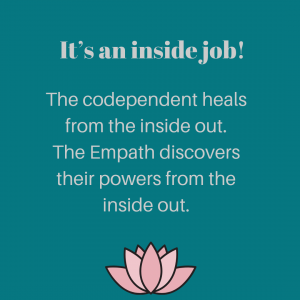 What is the difference between codependency and an empath? There’s a lot of interchangeable information out there between empaths and codependents. Empaths sense energy and are affected by it too. Anyone with a dog or cat knows that our animals pick up on our moods and energies and act differently. This is an empathic trait. Codependency traits are related to your relationships. Do you fix your friend’s problems? Do you have guilt if you do not help of give of yourself? Do you feel like you have to do more to feel needed? Do you constantly anticipate the needs of others before they even ask? The second definition is worth the mention because you may have already heard about codependency in terms of dysfunctional relationships or addictions. Codependency is not exclusive to romantic partners or a relationship with an alcoholic, someone with an addiction or illness. Although, a codependent relationship early in life can pave the road to future codependent relationships and/or developing empathic traits related to this. Codependency is the idea that you feel compelled to be a certain way (extra supportive, self-sacrificing, anticipate others’ needs) in the way you relate to others and the world around you. Similar to the Empath. 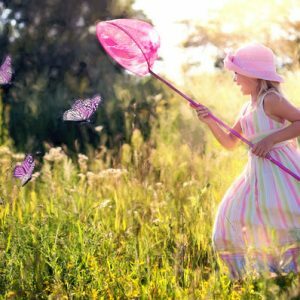 I believe the connection between being an empath and codependency is rooted in childhood and how we developed the specific traits common to Empaths. 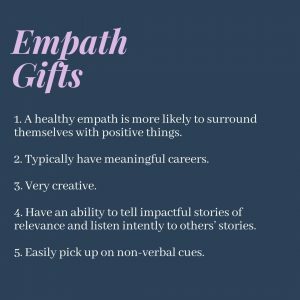 Were Empaths born with this (paranormal) gift? In the metaphysical sense, Empaths May have been born with extrasensory gifts. Other than reading up on the latest self-awareness topics, you may not have known you were an Empath. 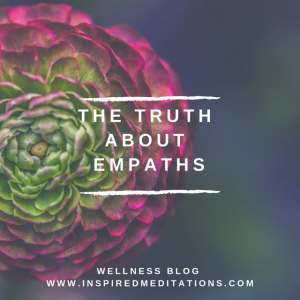 Why are you an Empath? Chances are you’ll answer, it’s just who I am. We don’t distinctly remember why or how we developed these traits. Many traits develop in childhood— typically before 7 yrs of age. Unfortunately, we don’t remember a lot from those years. Of course strictly biology does not determine who we become or conversely, any metaphysical gifts we’re given either. Environment plays a significant role too. Genes and natural proclivities are expressed and enhanced when aligned with a favorable (or unfavorable) environment. Similarly, children are not born “good” or “bad”, but we all know some children are easier and some much more difficult. That’s their temperament and it explains why hardships in childhood could either produce a difficult child or a much easier one. Really “good” or “easy” kids have a reason and when you dig deeper you can see there was often a need for them to be that way in their particular environment/upbringing. Perhaps their sibling was very difficult or had a disability and seeing their parents struggle, they were sensitive to this need and became an easier child to manage. They became deeply sensitive to the emotions and actions of individuals in the house to maintain balance. They fulfill(ed) a need. And in turn, it fulfilled their need whether that was love or attention or safety. Sometimes it’s too demanding of the child, too large of a job for one child and this becomes some of the negative effects Empaths know all too well. Not only did they see the need but sometimes there was even more pressure and reliance from the parents to be this way without fail. It became deeply ingrained. This creates unhealthy codependency and naturally unhealthy boundaries in relationships. 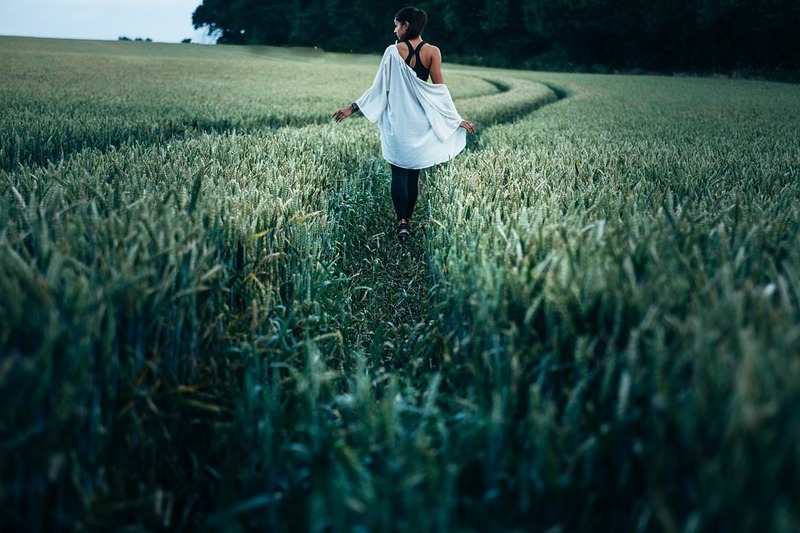 If you are on the fence about whether codependency factors into your empathic traits then think about your relationships…past relationships too. Friends, partners, work relationships. Do you have the need to please? Do you over-perform or outdo yourself to feel good enough? Are you the one people always come to with an issue? This may not be the story for every empath, but if it resonates with you, it’s worth researching the traits and tendencies of codependency to get a clear view of why you are an empath and expand your ability to heal and harness your extra-sensory power AND your relationships. I can identify with both codependency traits and empathic and I know the two are tied (for me at least). Twin traits! I did not have siblings, but I had impossibly difficult parents inflicted with a variety of issues and illnesses. I soon learned that being an easy child and becoming highly intuitive to my parents’ wants and needs, moods and movements, was what made my environment safer and my life a little smoother. This dysfunctional family dynamic grew into what could easily have dubbed for an empath with a special gift. The truth is it wasn’t a gift I was born with, but rather something that was born out of survival. It CAN be a gift though. Every hardship can be a gift. Flaws can become faithful superpowers. It depends on whether or not you step into your power or avoid it. When we step into our personal power we can respond to life with confidence, ride the waves of wisdom and deep understanding. 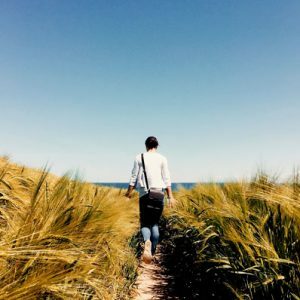 In reading about myself as an empath, it wasn’t until I accepted that those traits were born out of codependency (a difficult thing to admit) that I learned to manage my life truly on my terms. Last year I took a good hard look at my relationships with my parents. Both were quite ill, one terminal. Taking part in some of the care, it brought back memories. It forced me to revisit some of the childhood I very eagerly dismissed as I got older. The relationships I had with my parents continued an old pattern even into my adulthood and persisted in my other relationships and manifested itself in my environment. How many of you have said these things? ‘Everybody is being taken care of except me’ (codependent)! ‘I am deeply affected by the smallest emotional or physical nuances in those around me’ (Emapth and Codependent). ‘I am affected by everyone’s energy, not just the people I am personally close to’ (Empath). ‘I could sense things about others that would later come to light’ (Empath). ‘I gave until I had nothing. Others’ wants and needs spoke louder to me than my own, which was practically inaudible’ (codependent). Sometimes you have to heal the codependent before you can come into your appreciation and true power of being an Empath. I could throw on a nice outfit and some lip gloss, but the real work will always be on the inside. From the inside out is where the codependent heals and from the inside out is where the Empath’s true power lies. Learning that I was an empath was a wonderful first step, but real recovery from the traits that made it a curse was all codependent-type work. My suggestion, if I may, is to “spoil” yourself (which is actually being EXTRA aware and considerate of yourself) for a week or a month or 6 months like I did!!!!! Limit the things you don’t want to do, especially if you have a choice! Dig your heels in and say “no” (and for God’s sake, skip the elaborate excuses). Invest in yourself. Invest money on yourself, a hobby, charity or project that makes you happy and/or invest time on yourself too. Do not compromise your values. Do more that directly fulfills you rather than feeling fulfilled vicariously through assisting others. Empaths and codependents (one and the same depending on what resonates with you), face one big issue. When, what, and how to give. Simply put, it’s our natural tendency to over-give of ourselves. If you’re feeling unhappy giving, stop giving for a while. Let your giving be an extension of your purpose. Do not give to get love, friendship, approval, or a feel-good fix. 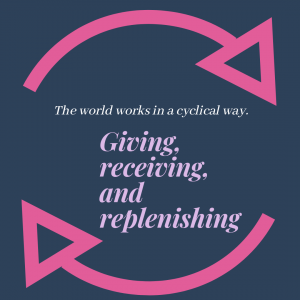 Did you know that giving for codependents lights up not only pleasure centers in the brain as it does for Most people, but also addiction parts of the brain? For us, giving isn’t the same. Pause before giving if you instantly thought, ‘I should’, ‘I must’, ‘I have to’. In order to know exactly what you want, first ask yourself what you don’t want. Hint: None of this feels natural at first, but what you practice becomes your new normal. Once you see the changes you can influence in your life from the inside out, it becomes easier to make it a regular part of your life, part of who you are, and into the gifts you were meant to express to the world. Meditation and affirmations is one of the contributing factors to my healing and healthy practices. Cords and attachments can become very problematic for anyone doing energy work, highly sensitive people, and Empaths. The cord of energy is made up of thoughts and emotions. 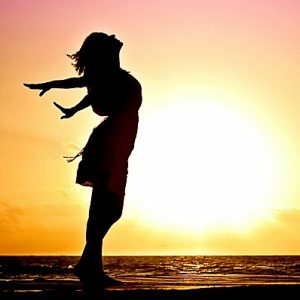 With a simple meditation and visualization technique you can practice healthy detachment. Take a couple of deep breaths in an out. Once you feel relaxed, close your eyes. 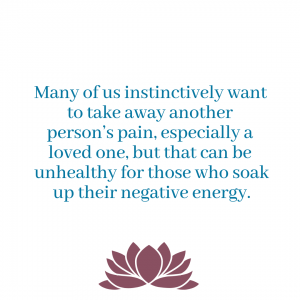 You can think of a person, an event, or a group of people that affect you negatively (drained, negative thoughts, sick feeling). Imagine this person. They can’t say or do anything to you, but their energy is present. An now you see a swirling rope of silver energy, perhaps sparks flying off of it too. Energy is very powerful. Now see this person and how they are attached to this energetic cord coming from their solar plexus (mid-abdomen). Looking down, you notice it is also attached to you in the same area. With deep and focused intention, wish this person well and cut the cord! A nice, smooth snip! Now feel all of the energy from the cord rush into your body like a river of positive vibes, positive energy! 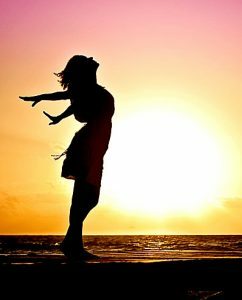 Feeling lighter…you may notice a tingling sensation or a burst of fresh air around you. Do this as often as you feel necessary. So helpful! For years, I didn’t understand why I could feel others pain. It was so draining. This explains everything really well. So happy you found this post helpful. Codependency and being empathic are worthwhile topics to read more about so you can navigate your life in a way that’s not so draining. Peace and be well.